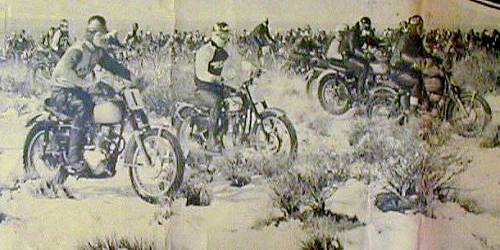 Thanks to the following old timers, who made it possible to approximate both the original and later courses, document many of the top finishers and display pictures of one of the oldest point-to-point desert races! Paul Flanders, District 37's Dual Sport Referee, who remembers the original race started in Saugus at midnight on New Years Eve! Aub LeBard of LeBard & Underwood Honda, who sent me a detailed map of the Saugus to Fawnskin course, and won this race three times! 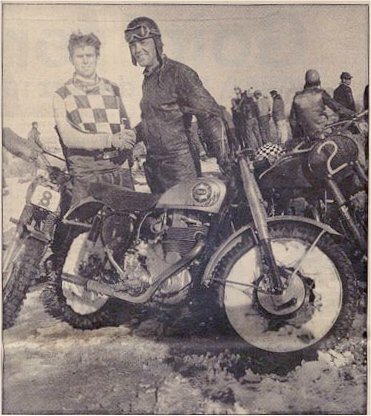 Harley Pace, who remembers his first Big Bear ending in a bomb crater on Means Dry Lake! 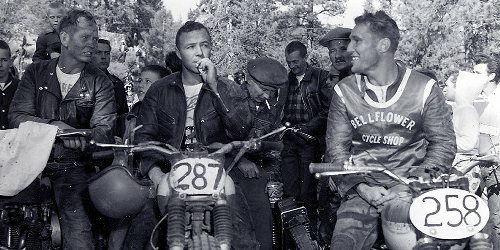 Thumper, riding an AJS "popper", remembers the 1955 or 56 race starting north of Soggy, going past Big Rock for a check point, then to Pioneer town for another check (and a beer or two!) then back to the Y Cafe in Lucerne for another check and two gallons of gas for 50 cents! Then the race headed up the hill on fire roads to Lake Baldwin, and finished out of town near Fawnskin. 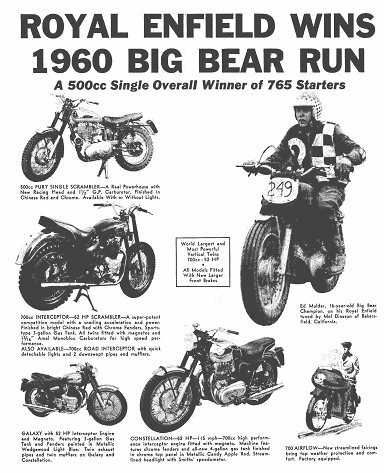 Page York of York Cycles, Big Bear, who finished many Big Bear Runs, and was active in motorcycles well into his 90s!